Big Island Honda thanks you for your visit! We take great pride in the sales and service we provide the Big Island and value the feedback of our customers to keep improving our ability to serve. 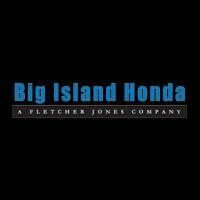 We rely on you to make your experience at Big Island Honda convenient, fun, and helpful!To leave a review, please click on the review site of your choice and let us know about your experience at Big Island Honda. Had my car done in no time! I had more than just an oil change done, and i can definitely tell a feel the difference. Added car wash bonus! Thanks! They fixed my tire on the spot. Apparently I ran over a nail. The staff was super nice and knowledable. Thank you for fast service and a great experience! On the road , safe again.